Did visitor forget his required documents? Needs to go and feed the parking meter? 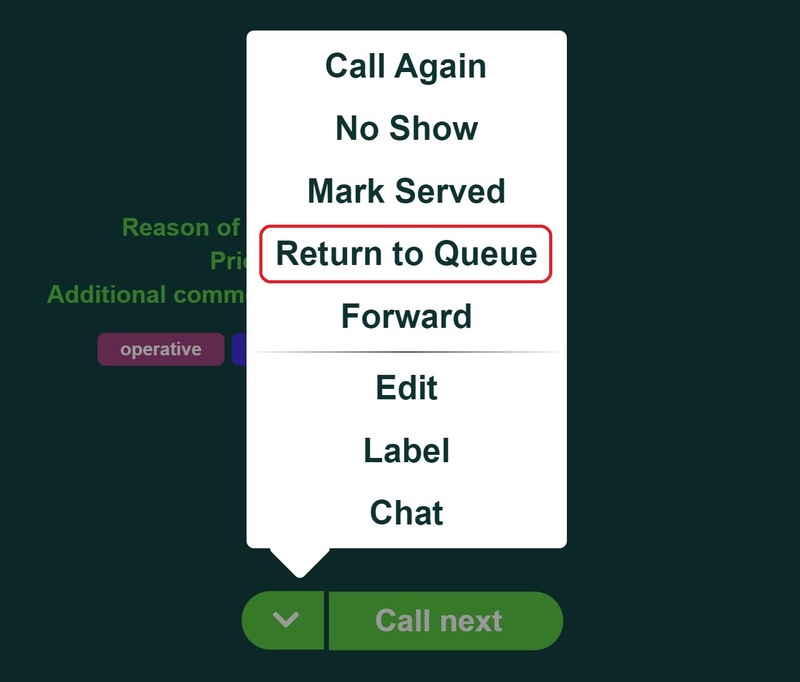 For whatever the reason, you can't finish the service you can just return the visitor back to the queue. 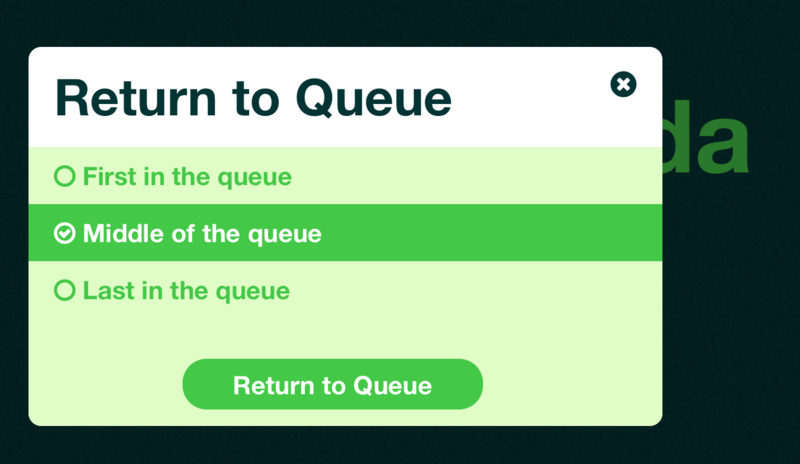 You can select where to position the visitor in the queue. "Middle" is the good option when you know that it will take some time for a visitor to return.